Are we remembering the wrong famous Londoners? Video: ever been inside London's singing lift? Catch up with what's been going on in London with our latest news roundup. CAROL CONCERTS: There's a wealth of carol concerts taking place across London today. Dimbleby Cancer Care hosts carols by candlelight at St Mary Magdalen in Bermondsey. The carol concert in aid of Children & The Arts takes place in Sloane Square, while The Children's Trust Christmas Concert takes place at Cadogan Hall. See individual events for times and prices. PAJAMA MEN: Surreal comedy duo Pajama Men perform 2 Man 3 Musketeers at Soho Theatre, "a live, comic existential meltdown that takes place as two comedians attempt to stage an epic, historical, romance novel in under an hour". Show starts 9pm (other dates available), tickets £15. LOVE ACTUALLY: The Exhibit's Festival Film season is underway and even though this film has been totally and utterly taken to pieces people still want to watch it at Christmas. Go the whole hog, drink mulled wine, eat a Christmas dinner and cry at the end — there's no excuse any other time of year. Film screens at 8.45pm, tickets from £9.90. 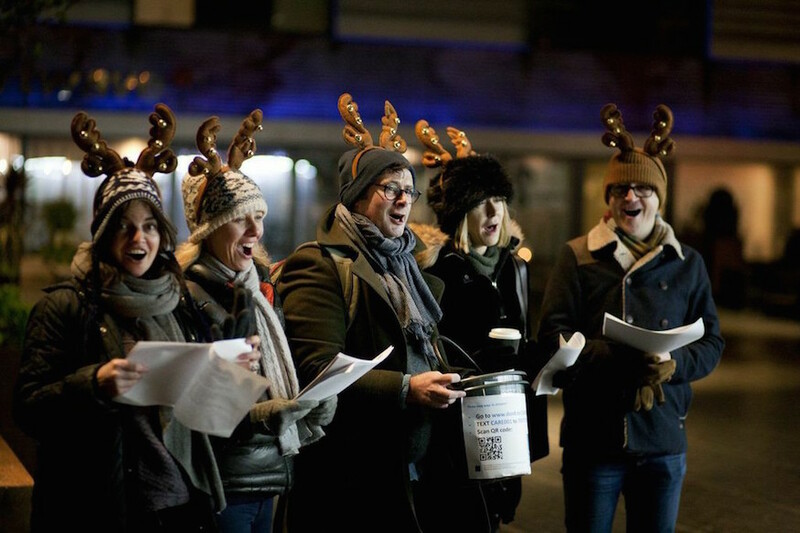 GOSPELOKE: Feel the festive euphoria as you sing Christmas karaoke backed by a full gospel choir. Pretend you're Whitney, belt it out. Gospeloke's Christmas Spectacular is at Electric Carousel in St James's from 7.30pm. Tickets £10. G4: Experience uplifting Christmas classical music by candlelight, serenaded by X-Factor success story G4 in the very beautiful St James's Church, Piccadilly. Lovely. Concert starts 7.30pm, tickets £22.50. THE SPURS SHOW LIVE: Be at The Spurs Show Christmas party hosted by impressionist and comedian Phil Cornwell, with Spurs legends Keith Burkinshaw and Peter Shreevehour. With music, raffle, quiz and more at Guanabana, Covent Garden from 8pm. Save £10 with YPlan, tickets £15. Browse and book many more London events at our tickets site, powered by YPlan. On Twitter? Us too. Follow @Londonist to keep up to date with everything going on in London.